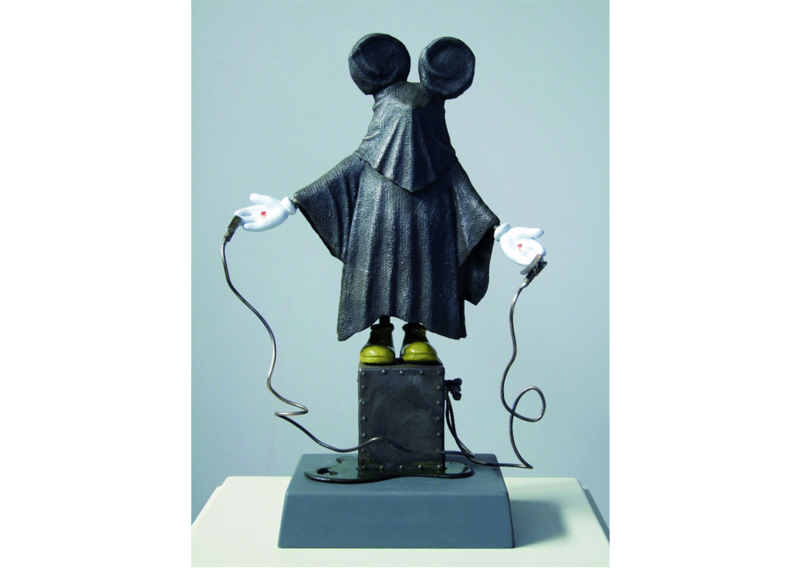 Image Credit: Colin Suggett, The Mickey Bronze, bronze, wood, paint, 2008. Collection of the artist. Retromoments by Colin Suggett was a retrospective exhibition supported and managed by Latrobe Regional Gallery, that toured Australia between 2002 – 2004. Following the exhibition Colin Suggett donated the works to Latrobe Regional Gallery, where they have been housed ever since. Retromoments 2 reimagines this monumental exhibition, with the addition of several new works by Suggett. Suggett’s works are relatable as they often replicate everyday objects and occurrences. His works are very much based in reality, but have underlying tones of humour, wit and often a darker sense of scepticism. Retromoments 2 includes popular works such as Hawaiian Sausages and Beach. Both sculptures evoke the feeling of an Australian summer, with a touch of satire and humour. The sausages dance in the pan to the tune of Hawaiian music, while the figures in Beach gaze upward at the ‘sun’ – a large fluorescent light globe.